When your natural teeth or dental treatments need a little tender loving care, Dr. Ed Trizzino and his team at Smiles of Atlanta, located in Sandy Springs, Georgia, offer comprehensive restorative dentistry services. Dr. Trizzino and his team provide a variety of treatments to restore your teeth, jaw, and gums to a state of optimal well being. The practice serves patients from throughout Northern Atlanta, Georgia, including the communities of Sandy Springs, Dunwoody, Brookhaven, Alpharetta, Roswell, Norcross, and Tucker. Call or book an appointment online today to take the first step toward restoring your oral health. Simply put, restorative dentistry restores the health and integrity of your teeth, gums, and jaw. For example, Dr. Trizzino may suggest a treatment plan to replace missing teeth, repair and protect decayed or damaged teeth, or replace older dental treatments like amalgam fillings. Composite fillings are tooth-colored fillings made of BPA-free composite resin. These fillings are just as effective as other types of filling, but reduce the risk of exposing you to mercury or other heavy metals found in silver amalgam fillings. The installation process is the same. 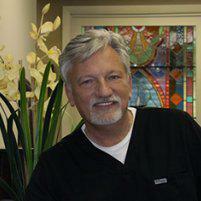 You are carefully and thoroughly anesthetized before Dr. Trizzino removes the decayed tissue from your teeth. He then applies the composite filling and seals it with a special light that hardens the material. Dental implants are prosthetic replacement teeth that are attached to titanium posts that are implanted into your jaw. The posts act like natural tooth roots, both providing a stable base to a false tooth and stimulation to the jaw to promote healthy bone development and strength. Implants are made to last for a long time. Dental implants are one of different type of restorations offered by Dr. Trizzino that patients can choose from when one or more teeth are missing. Dentures are removable prosthetic teeth. Dentures are custom-made removable appliances that replace all missing teeth on upper or lower jaw. Partial dentures are also custom-made removable appliance to replace one or more missing teeth. A partial denture replaces one or a few teeth, and complete dentures replace all your teeth.